What is “3D” Compassion? It is important to recognize the 3-dimensional (3D) scope of compassion: caring for others, self, and the Earth. All 3 dimensions are important to complete the whole. Compassion skills include: awareness, mindfulness, critical thinking, empathy, gratitude, awe, connection, forgiveness, kindness, happiness, optimism, resilience to stress. Practice is essential to strengthen compassion skills and habits. “3D” compassion is essential to our current well-being and to the well-being of future generations. Compassion is about the way we choose to live and survive. It requires us to live in ways that enable all to thrive. Compassion is what motivates people to identify and address personal, community, and global needs. Compassion is the power source for social innovation! Compassion is a common, unifying force for social good! Vision: Austin exemplifies and champions compassion, creating a livable, vibrant, inclusive, and caring community in which ALL may thrive. Mission: Everyone in Austin will become aware and conscious of the significance of compassion (caring for others, self, and the Earth) and will strengthen compassion skills, practice, action, and accountability to meet needs. Strategy: Through the Compassionate Austin movement we will highlight and support each other, broaden our compassion awareness and intention, collaborate, forge new relationships, strengthen compassion skills and activities to identify and meet community needs, and increase engagement of people throughout Austin and vicinity in compassionate action. Tenets: We adhere to the tenets of the “Golden Rule” as put forth in the Charter for Compassion and encourage people to affirm the Charter to make a personal commitment to compassionate action. Core Values: As a member of the Compassionate Communities campaign, Compassionate Austin has an inherent set of core values expressed in the Charter for Compassion. As an Austin based movement and in recognition of Leadership Austin‘s example for our community, Compassionate Austin also affirms and supports the core values stated on the Leadership Austin website. The Charter calls us to live by a universal code based on the Golden Rule: Never do to others what you would not want done to yourself. 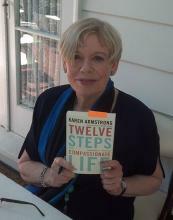 The Charter was created as a result the acclaimed research of Dr. Karen Armstrong who was awarded the TED prize in 2008. Compassionate Austin is part of the Charter for Compassion Compassionate Communities campaign. There are currently 400+ compassionate communities initiatives globally and the number is growing. In cities and communities around the world, people are engaged in community compassionate action to address hunger, homelessness, healthcare, restorative justice, education efforts, bullying, the environment, etc. In Texas, in addition to Austin, there are already several self-designated compassionate cities, including, but not limited to, San Antonio, Houston, Dallas/Fort Worth, etc. The Charter Tool Box offers a four-part model or framework for creating a Compassionate Community: 1) Discover and Assess; 2) Focus and Commit; 3) Build and Launch; and, 4) Evaluate and Sustain. It provides guidance for cities, regions, communities and other groups/organizations as they seek to fully develop as compassionate entities. The Charter Tool Box is included as Chapter 2, Section 16 of the Community Tool Box (a free, online resource and public service of the Work Group for Community Health and Development at the University of Kansas). 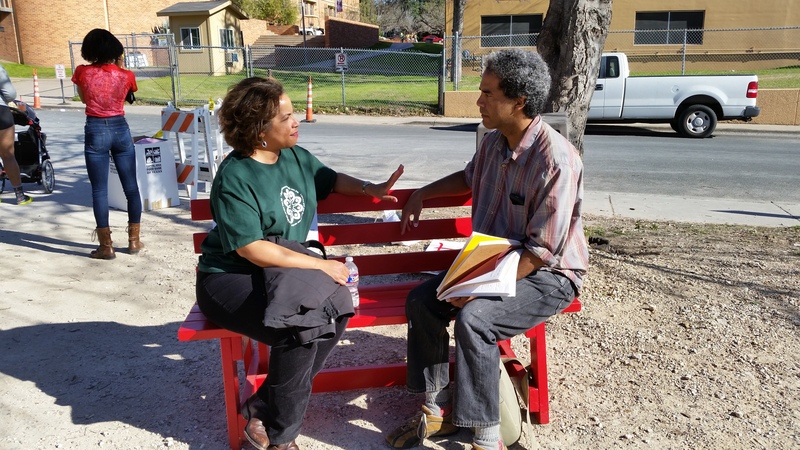 The Compassionate Austin website describes Austin’s progress and supports our ongoing community development, based on the Charter Tool Box framework. Austin has many compassionate community strengths (highlighted in this website). Discover and Assess: We have extensive data tools and sources and community forums (including the initial monthly Compassionate Austin meet-ups held in public libraries from 7/2014 through 6/2015) that identify and monitor community needs. Focus and Commit: Based on such discovery and assessment, we have developed community vision and detailed planning documents. We also have many people focused and committed to compassionate action as demonstrated by our over 6000 non-profits, our faith/interfaith communities, and creative initiatives to bring together people from all sectors (non-profits, businesses, educators, artists, healthcare providers, faith/interfaith groups, etc.) to meet Austin’s needs. In December, 2017, we launched the OpenIDEO Austin Chapter– a design-thinking forum for social good! So, in many ways Austin is growing and building compassionate action. However, we also have significant challenges. We ALL are part of Compassionate Austin. We want compassion to be recognized as the power source for social innovation. Build and Launch: Our emphasis, as expressed through this website, is to build and strengthen compassion skills throughout Austin and bring even more people to the table to move Austin forward and create a community in which all may thrive. We have launched this website and the OpenIDEO Austin Chapter to support and energize this process. Evaluate and Sustain: We will work in collaboration with existing community assessment leaders to develop data indicators and measure compassion-strength and demonstrate the impact of our compassionate actions on increasing community well-being. A 2013 Forbes blog article provided a ranking of the 10 most compassionate U.S. cities and ranked Austin 7th. WE CAN DO BETTER! Do you want to VOLUNTEER to assist with community-wide catalyst activities? Send an email to compassionateaustin@gmail.com if you are interested. We need you!! !